MED-EL is a cochlear implant company that is dedicated to providing hearing-loss solutions that enable children to thrive both in and out of the classroom. That is why you will find abundant resources that can help children with a cochlear implant succeed in school. Children who are learning to use a cochlear implant require rehabilitation and support to reach their potential. In collaboration with leading educational and hearing specialists around the world, MED-EL developed its BRIDGE to Better Communication rehabilitation program that prepares educators to help children reach that potential. The BRIDGE program includes assessment, rehabilitation, troubleshooting and counseling materials for teachers, therapists, audiologists, parents and recipients. You can learn more about rehabilitation by clicking here. The technology inside a cochlear implant can make all the difference in a child’s development. MED-EL’s SYNCHRONY Cochlear Implant is the only CI on the market that enables 1.5 and 3.0 Tesla MRI scans without the need for additional surgeries to remove the implant magnet. Additionally, only MED-EL implants are powered by Triformance and feature Complete Cochlear Coverage, allowing children to hear the most natural range of sounds thanks to flexible electrodes that cover the entire cochlea. The technological advantages of MED-EL were especially important to the parents of Sahib, who chose the cochlear implant they believed maximized their son’s chances for success in school. Watch Sahib and his parents. You can learn more about MED-EL’s technology here. MED-EL has a Consumer Outreach Manager in your region who is ready to give all the support needed to ensure that a child recipient succeeds in school. Consumer Outreach Managers will visit schools to offer troubleshooting tips and tricks while sharing valuable rehabilitation, educational and counseling information. If you wish to learn more about how MED-EL offers classroom support to children with cochlear implants, please call 888.633.3524 and ask for the Consumer Outreach Manager supporting your region. 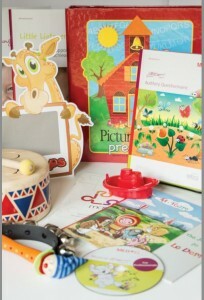 Supporting Success for Children with Hearing Loss wishes to thank MED-EL for contributing this important information.